Dancing shoes at the ready as our very own Disco Divas Entertain you with their energetic dance moves, singing and disco games to the most current dance tunes. 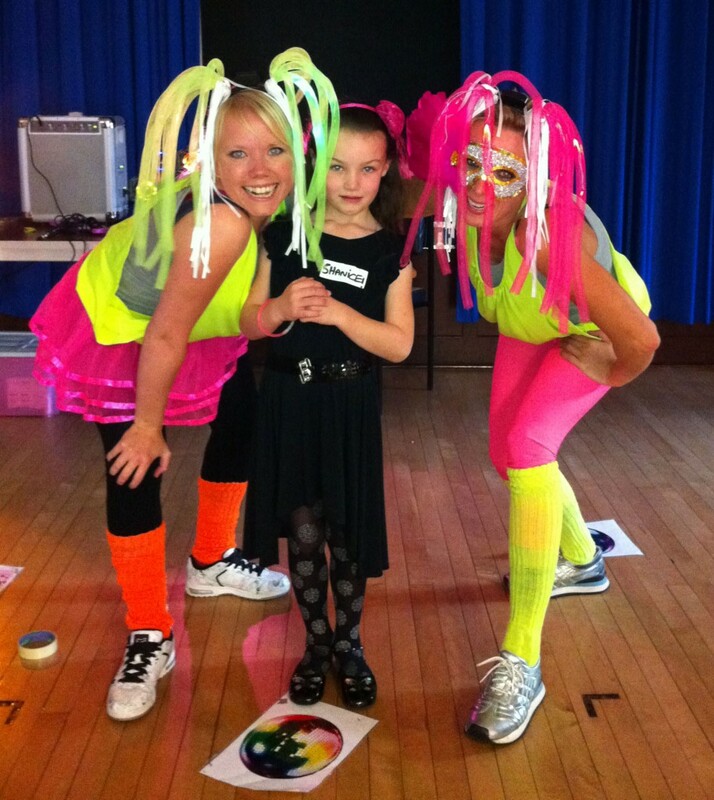 If you want to be a true singing star our fantastic Kiddioke sing along experience is a must! Disco face painting, Bubbles, Disco lights, cool trendy current music and our amazing Disco Dress Up Catwalk Parade involving Neon Sunglasses, Glitzy Microphones and Neon Afro Wigs will leave you the talk of the town so get ready to party and have the ultimate Disco Experience! Our experts will lead the guests in a dance routine that can amaze parents at the end of the party and create a truly spectacular ending to truly amazing party.